The highlight of the exhibiting year was a great success and the SPS IPC Drives has confirmed it´s position as a leading trade fair for electric automation technology. More than 60.000 visitors were informed about the latest developments and trends in the electrical automation sector. 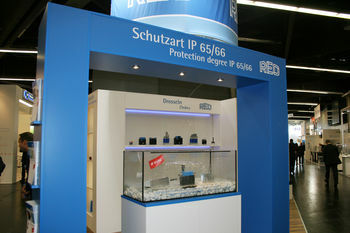 REO had many technical discussions and was able to inform visitors about the developments in the water cooling technology and new products with high ingress protection class IP66. We thank all our visitors for the great interest that was shown. All of the brochures printed specifically for the exhibition can be found here.